Growing up, I spent many Saturdays going to work with my dad in Oxon Hill, MD. This meant that Crusader Jenn and I either spent the morning with our Grandmother (who only lived a few minutes away) having tea parties, swimming, and playing rummy cub, or we would relax in our dad’s office reading the hours away. No matter which we did during those mornings, one thing was certain, we would spend the afternoons exploring Washington DC. I have countless memories from our frequent excursions to the museums, parks, and art galleries throughout the DC area. Despite my vast history with the DC area, I don’t go there nearly enough anymore, which means I don’t visit with my grandparents as much as should either. But I’m working on that and after a recent Sunday afternoon visit with them, I decided to stop by the National Harbor where CakeLove has a location. 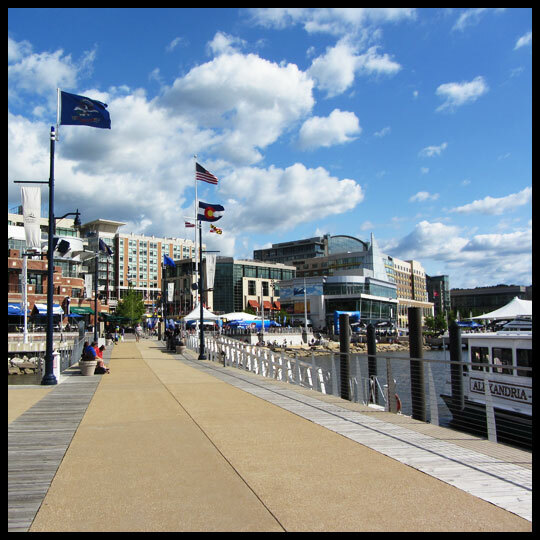 To my surprise I realized that I hadn’t been to the National Harbor since it underwent its major redevelopment. I couldn’t believe all the restaurants and shops that formed a little city along the waterfront. The weather was absolutely beautiful and I wished I had more time to wander up and down the docks, browse through shops, and maybe even sit with a coffee or ice cream cone. But I was on a mission. Cupcakes. After wandering around the harbor for a little bit, I headed into CakeLove’s shop and was greeted by a less than enthusiastic woman. They had a good variety of flavors though, so I took a few minutes to make my final selection of a Strawberry Cheesecake cupcake and a Chocolate, Peanut Butter, and Caramel cupcake. 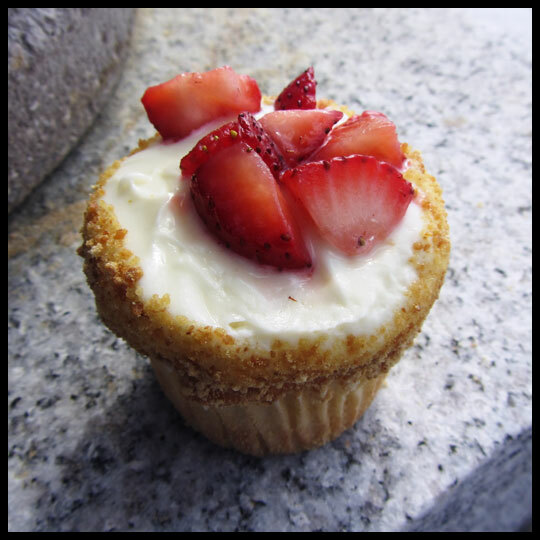 When I first sampled the frosting on the Strawberry Cheesecake I was surprised to find that it actually tasted just like cheesecake. The strawberries added a nice sweetness, just as they do on a typical strawberry cheesecake dessert, but there was something off putting about the cake. It was very dense, dry, and spongy, but not in a light and fluffy way. While the top of the cupcake was full of flavor, the cake itself was seriously lacking. The Chocolate, Peanut Butter, and Caramel cupcake had this same problem. The chocolate ganache on top was decadent, the peanut butter frosting was light but had great peanut butter flavor, and the caramel added an overall richness, but the chocolate cake was bland, dense, and dry. In the end, I decided to just eat the tops off both cupcakes and discarded the cake portion. 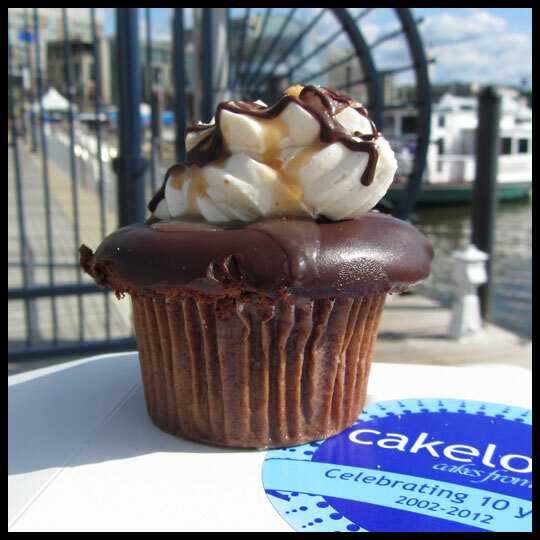 This entry was posted in Cupcakes, DC, Maryland and tagged Cake Love, Caramel, Chocolate, Chocolate Peanut Butter Caramel, Cupcake, DC area, Oxon Hill, peanut butter, strawberry, Strawberry Cheesecake by Stacy. Bookmark the permalink. Hey Beth! I’m happy to hear someone’s thoughts on the location that was in Baltimore. As much as I drove by it I never actually was able to try their cupcakes. They were either closed or I was in a rush to get someplace. If it was the best cupcake you ever tried then I wish they were still there! Maybe we can both go down to the National Harbor sometime? Grab some lunch, walk around, and give them a try (again)? I had their cupcakes a couple of years ago & they were good. I went to National Harbor last year & their location in Silver Spring in February & I was disappointed. I felt they were dry & lacked flavor & for their price (which is one of the priciest in the area) not worth it anymore. I think a lot has to do with the lack of quality control. And the whole “health code regulation” refrigeration is an excuse because all the other cupcake shops leave them out like Georgetown Cupcake, Red Velvet, etc. 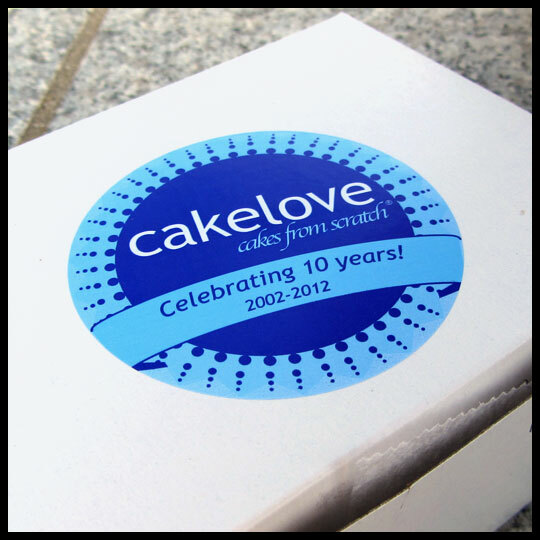 They really use the excuse “letting the cake flavors marry overnight?” Sounds like someone doesn’t want to come in early to bake fresh! It’s not like they’re marinating a steak. Haha!!! Yah… my thoughts exactly… It’s weird though, at one point on their website they say, “CakeLove bakes fresh and from scratch everyday so that each customer has the freshest cake possible to guarantee satisfaction in every bite.” But then they say, “Cake, like wine, needs a little time before it’s prime. We give our cakes a day to rest in the fridge. Just like leftovers at Thanksgiving, cake also tastes better once the flavors in our premium ingredients have had a chance to marry overnight. There’s a lot of action going on with our cakes!” Huh? Doesn’t make sense to me.